Face Rejuvenation Treatments - Which One is Right for You! A spot on the corner of one eye or a wrinkle on the sides of your nose can easily giveaway your age. Truth-be-told, there really isn’t any one of the face rejuvenation treatments available from your favorite spa or skin doctor’s clinic that can always and forever keep your skin from showing visible signs of skin aging. Nonetheless, it’s never too early or too late to try one of the latest facial rejuvenation techniques that can help you either alleviate or, help you stave off several years from the look of your skin. What is rejuvenation of the skin? Not too many men and women can comprehend why it is important to choose skin rejuvenation products that really work to include in one’s regular skin care routine. Even less, including the ones who avail of skin rejuvenating products and services, understand what is rejuvenation of the skin. According to skin experts, “Skin ageing is a continuous process, which occurs on a cellular as well as on a molecular level. It is traditionally divided into intrinsic (chronological) and extrinsic ageing.” Face rejuvenation treatments are procedures intended to enhance the quality of the skin but. What are 10 Ways On How To Rejuvenate Face Skin? According to the American Society of Plastic Surgeons, there were 17.1 million cosmetic procedures performed in 2016 alone. Of which, there were 15.4 million minimally invasive procedures that took place, while the remaining account for cosmetic surgical procedures. The same report highlights that among the latest anti aging skin treatments that are minimally invasive, the three most popular procedures are Botox injections, soft tissue filler injections, and chemical peels, figures for all three showing an increase from the total number of procedures for the same techniques facilitated in 2015. Clients are as young as 13. Laser Skin Rejuvenation and Resurfacing Techniques. These techniques basically use light at very specific wave lengths to heal, restructure, and rejuvenate your skin. The primary advantage is that these treatments are capable of delivering highly targeted results. 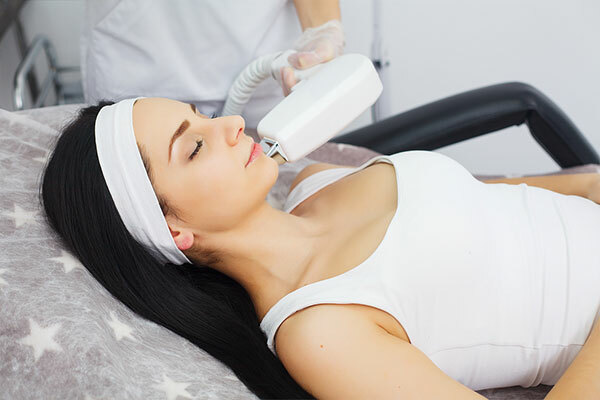 More advanced laser skin resurfacing and rejuvenating procedures are capable of working only on damaged skin at very specific depths and sizes that none of the surrounding healthy skin cells have to be unnecessarily damaged. 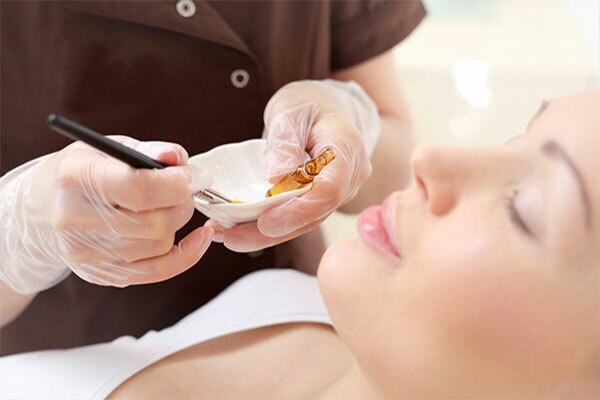 It often take a series of treatments before visible results can show using these procedures. Results are permanent but, skin issues often reappear as a result of new damages. Best applications include correction of fine lines and medium-depth wrinkles, hyper pigmentation, uneven skin tone, and acne scarring. How long does it take to recover from laser skin resurfacing? 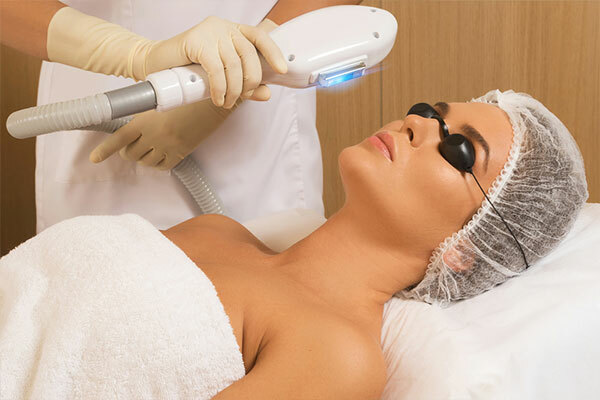 It depends on which kind of laser treatment you are availing. All of which though will practically have you out of your skin specialist’s clinic right after the procedure. These are more traditional techniques that deliberately damage an entire layer of your skin to eliminate the imperfection while stimulating the resurfacing of newer, lesser damaged skin. 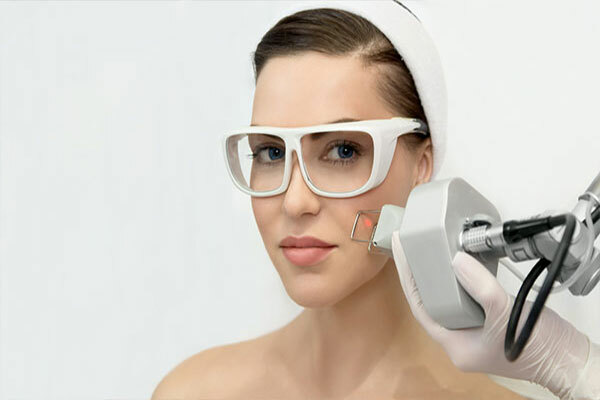 These provide a more targeted laser treatment procedure where good skin cells are left untouched. That’s a main advantage. Plus, this procedure allows your skin to heal much faster. This is specially helpful in addressing sun-damaged skin, most especially skin discolorations caused by UV. 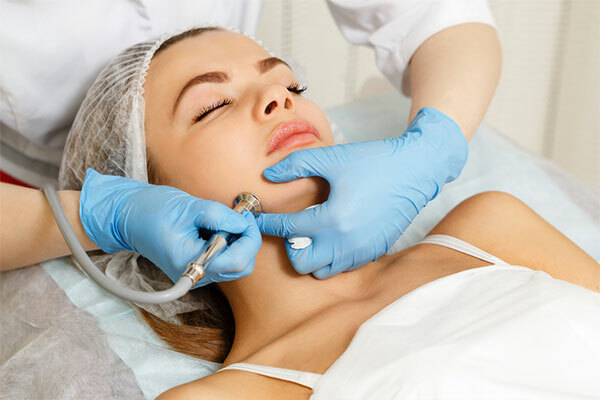 Microdermabrasion procedure is one of the more popular techniques falling under this category, along with Dermabrasion and Microneedling. These procedures normally entail downtime, the period of which depends on the extent of damage caused by the treatment and the results that you desire. 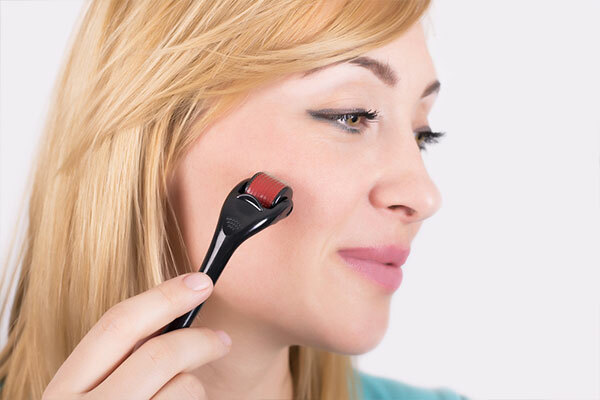 Both of which use abrasive tools, such as a rough-edged diamond, to slough off the damaged top layer of your skin to allow newer, lesser damaged skin to surface. These treatments normally take several treatments to completely eliminate skin issues. Visible improvements become noticeable after every treatment and results can last for several months. This procedure tears off your skin deliberately but gently. The process stimulates faster collagen production at higher volumes. At the same time, it also enhances oxygen and fluid circulation. These treatments have been around for decades and that is one of the advantages of these procedures. Arguably, these treatments, when availed periodically, can best face lift options. Chemical peels are capable of exfoliating your skin at varying degrees depending on the type and chemical agent used. Among all of the minimally invasive procedures, this one will probably have the longest downtime. Considering as well your skin’s tolerance for the chemical agent, expect downtime to last anywhere from 24 hours up to a week. During which period, make sure to follow closely your skin specialist’s advice for aftercare. This is the most common chemical peel procedure that is best suited for light to medium peeling, and for maintenance purposes. It comes in various strengths and is a good way to force turnover your skin every once in a while to help prevent the buildup of imperfections. For a more intense treatment and more drastic results, this is the peel often recommended by skin specialists. This peel is best administered to you by a professional. 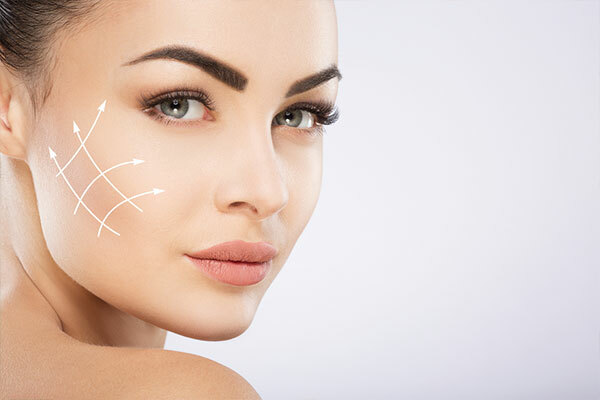 For an instant facelift minus the scalpel with improvements that last for several months, this category of face rejuvenation treatments will be suitable. However, once elected, these procedures need to be maintained periodically to help maintain youthful appearance. These procedures are best fit for skin sagging and wrinkling issues. How does this anti wrinkle injection work? Short for Botolinum toxin, the material used, this technique works by numbing the muscles underneath treatment sites. When the muscles are numb, it stretches out, and the skin above it follows, making your lines and creases appear smoother. These work by filling in the gap that causes you to exhibit furrows, and can also plump the skin to make it appear fuller. 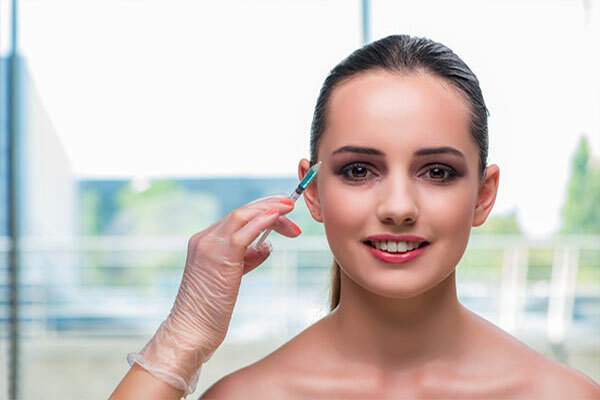 Which dermal fillers are the best? It really depends on what correction your skin needs. 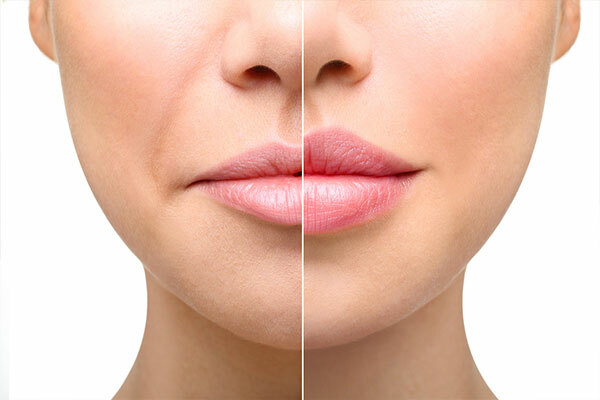 The two most popular fillers are hyaluronic acid and collagen. Surgical Procedures. These techniques should generally be considered as a last option. Make sure that you know the risks and that you’ve weighed out the benefits against it before signing up to get under the knife. Expect downtime to last from a week or more, depending on the size of the treatment area. In this procedure, trims are made to make your skin appear fuller and tighter. There are many ways on how to prevent dynamic wrinkles and other visible signs of skin aging. However, because no matter how rigorous your skin aging prevention regimen may be, your skin will still age, face rejuvenation treatments are a great way to help your skin better cope with the damages. These procedures work but you must tame your expectations, and make sure to continue practicing proper skin care regimen appropriate for your skin and age.